Attacks against Christians are increasing in India, with 260 incidents recorded in the first five months of 2017, according to Persecution Relief, an ecumenical Christian forum that monitors incidents of persecution. The organization counted 348 incidents last year, an average of 29 incidents per month, while this year the monthly average, 52, almost doubled. The offenses reported include murder, physical violence, destruction of churches, threat and harassment, social boycott, hate campaigns, abduction and attempts to murder. "It is an alarming situation for us," said Shibu Thomas, founder of Persecution Relief, who started the organization in 2015 to provide support to the victims of persecution in the country. The actual figure could be higher as many such incidents in remote villages go unreported on account of lack of communication facilities, Thomas told ucanews.com. He said Christians, who form less than 3 percent of India's 1.2 billion people, feel "threatened, unsafe and isolated" because the violent attacks against them have increased since the pro-Hindu Bharatiya Janata Party (BJP) gained power in New Delhi and most northern states three years ago. 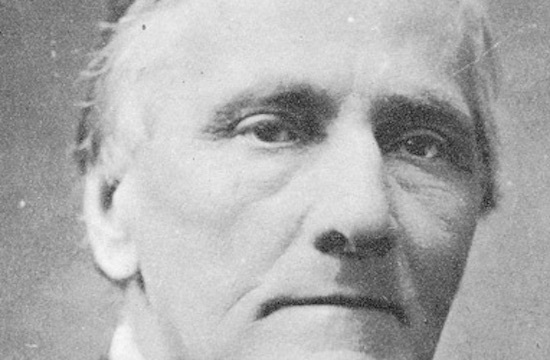 "Christians are falsely accused of converting poor people" in order to charge them under state laws that make conversion without government permission a criminal offense, Thomas said. "We now face a very difficult situation in many states where the government agencies are making it difficult for Christians by blocking their charitable services," Thomas said. Most of the violence is aimed at scaring the poor away from Christianity, he said. 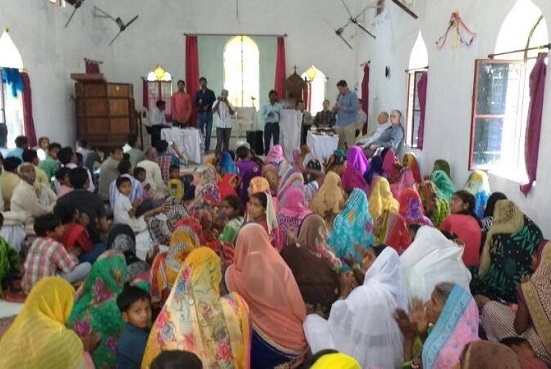 Hindu groups have also accused Christians of luring poor villagers to Christianity with material offers and have reiterated the party's demand for laws to check conversions to Christianity, Christian leaders said. Archbishop Victor Henry Thakur of Raipur told ucanews.com that "absence of governance that leads to complete lawlessness is a major worry for us. Hindu hardliners now tell us what to do and what not to do. Those opposed to them have to face their ire." The archbishop, who is based in the capital of the central Indian state of Chhattisgarh that is ruled by the BJP, was referring to demands that all schools should start classes with a hymn to Sarawati, the Hindus goddess of wisdom, and students should be asked to address teachers as gurus. They also make demands on Christian institutions to follow Hindu religious customs to establish a cultural hegemony in the country, he said. "They take the law into their hands as if no government exists. It is a very troubling situation in which we live," Archbishop Thakur said. Cardinal Telesphore Placidus Toppo of Ranchi, based in the capital of the BJP-ruled state of Jharkhand, said the propaganda that the church is engaged in forced conversions is "an attempt to tarnish its image." 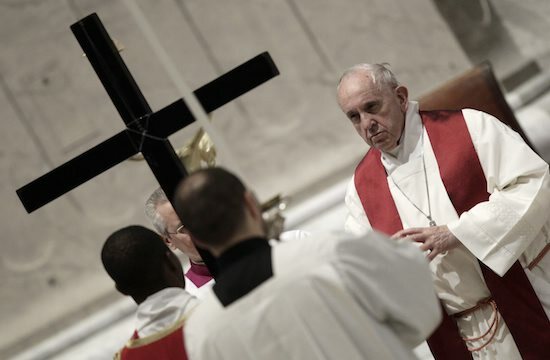 Despite such difficulties, "Christians must continue our work," he told ucanews.com. Tomson Thomas, Jharkhand state secretary of India Pentecostal Church of God, said Christians live in a very dangerous situation. The attacks on Christians and campaigns against them are "part of a well-organized movement that is gaining ground every day in the country," he said. 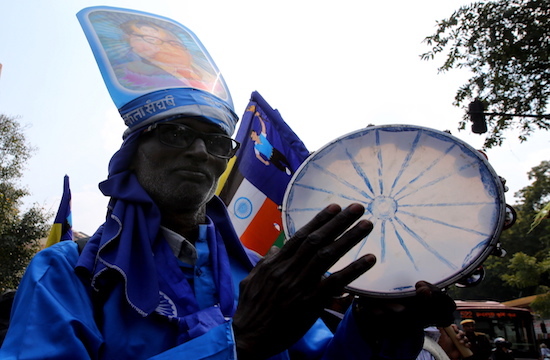 Jharkhand is home to a vibrant, mostly tribal Christian community.